The UN Convention on the Rights of Persons with Disabilities. Tonight, 7 March 2018, Ireland’s government finally…FINALLY…agreed to ratify this tremendously important convention. Embarrassingly, we are the last EU country to do so. The next step is the Minister for Foreign Affairs must lodge documents of ratification with UN Secretary General. Then, in 30 days, it will be official. I applaud my fellow disability advocates who have relentlessly pushed the politicians – politicians who have always held the power to see this ratification happen but didn’t. I applaud the politicians who finally listened, who saw the need for this ratification, and who in turn made sure it would come to fruition. But where do we go now as a country? To be sure, the ratification of the UNCRPD is only the beginning. It is a tool we have needed to legally fight for the rights of people with disabilities. It is the way we will (eventually) see no more deprivation of liberty, because let there be no doubt in anyone’s mind, there has been – and continues to be – an ugly deprivation of liberty in Ireland’s disabled community. There must be ring-fenced and increased funding to expand all services for people with disabilities. There must be absolute priority given to disability suitable and appropriate housing for people with disabilities and the families with disabled children. There must be more options for adults with disabilities on where to live if they need care but home care is not an option for whatever reason. There must be a vast improvement in the waitlist timeframes for all medical and therapy consultations and treatments. I would suggest a maximum waitlist of 60 days. There must be more grants made available for daily living needs, be it an accessible vehicle, home modifications, or mobility/care equipment. There must be proper wrap-around services for people with disabilities and/or the families of children with disabilities – mental health counseling for the family; annual medical checkups if requested; social services as needed; housing supports; respite, in and out of home, as requested; palliative care support for families; and so much more. There must be more special needs schools and classrooms established across the country – rather than families waiting months if not years for their child with disabilities to simply avail of the basic right to an education. There is so much more that needs to be improved, reformed, implemented, and brought up to a standard of equality, that I couldn’t do it all justice in this short blog post. As I said above, this is just the beginning. This is the tool we needed to have the ground on which to base our fight for equal rights – often basic human rights – and for the extraordinary needs that many people with disabilities have in order to live their lives to the fullest potential. I can’t end this piece without mentioning carers, the often silent voices that are forgotten in the discussion of disability rights. Many carers, like myself, are the voices of the profoundly disabled who cannot speak up for their own rights. We speak for them. We fight for them to not be deprived of liberties and human rights while we try to hold our heads above water to attend to their every need at the same time. I applaud all of you. The UNCRPD is for us, too. It isn’t solely for the person with a disability looking for equal rights in the workplace or equal access to public transportation (both extremely important issues, don’t get me wrong). 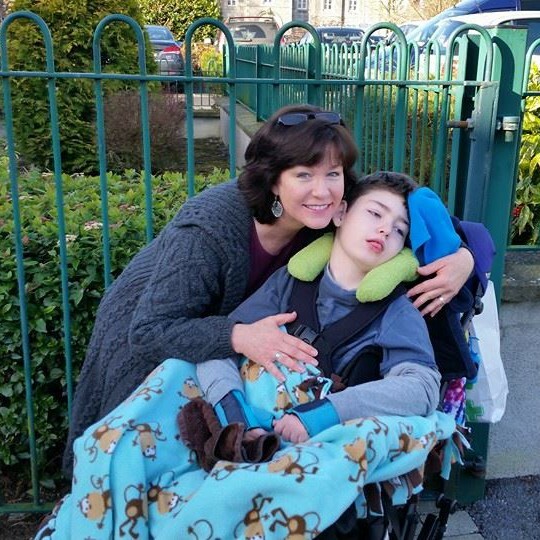 No, the UNCRPD is also for children like my Brendan Bjorn, and, it is for all of us who are responsible for our profoundly disabled child’s care. This is our tool, too. And we will use it well.